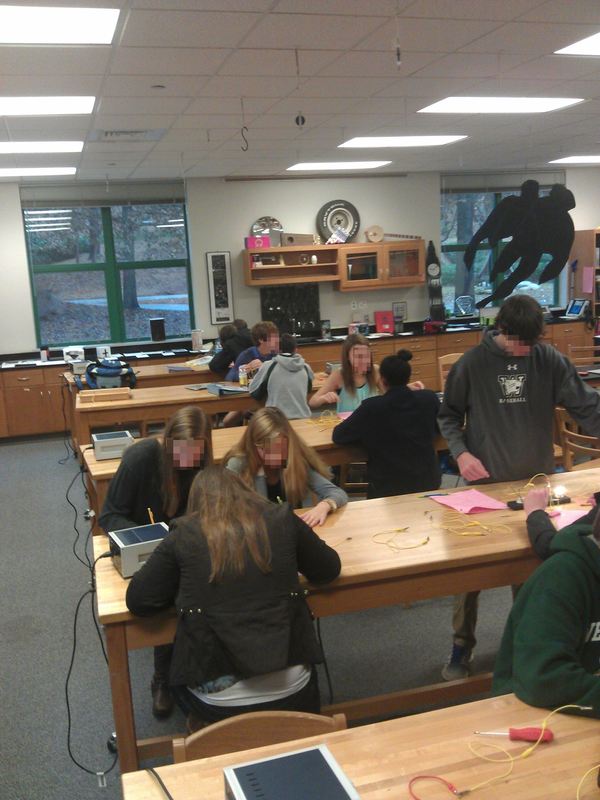 One class works on their light bulb lab. The light bulb lab helps students understand series and parallel connections with almost no advance teaching required. I let them muddle through how to wire a physical circuit based on a schematic. 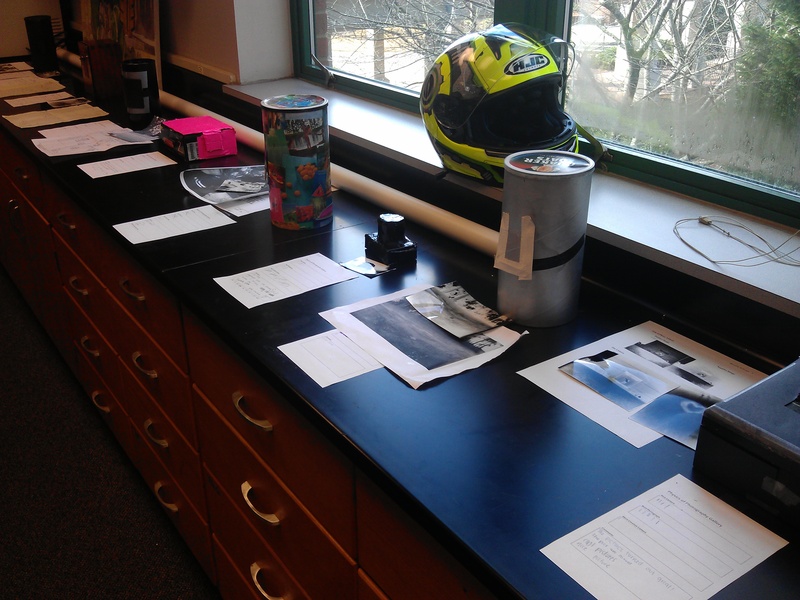 Our other task today was to vote on our favorite pinhole cameras and photos. Here’s what that looked like (with my helmet in there for…scale?). A portion of the pinhole camera gallery.